You’ll be transported to the future where you’ll join an elite special force team, receive your mission, to the most engaging games of paintball in London. Experience an adventure of your lives as you battle it out to save the world from imminent nuclear disaster. The intense thrills of video games are brought to life at our one of a kind Docklands venue. In a decommissioned cold war nuclear shelter deep underground, you and your team will be taking on a series of exhilarating missions in order to save the world! 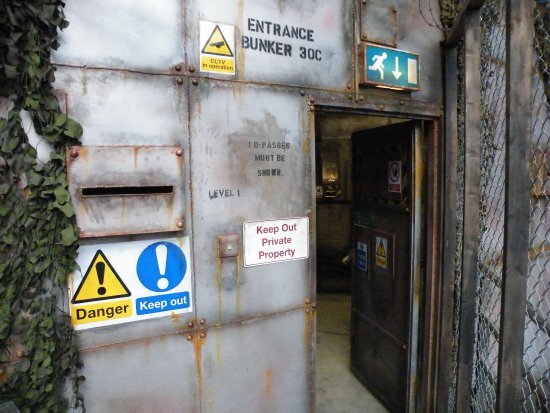 Our futuristic venue has been created to offer one of the UK's leading paintball experiences, from the movie-inspired battleground design to the state of the art equipment you'll be using to take down your enemy. Get ready for epic adventure in our series of nail-biting games, set to challenge players old and new. Think you're ready to meet us underground. Bedlam Paintball Greenwich. The best paintballing deals in Greenwich.